Wellbeing and burnout: New research shows it’s real and immediate. It is astonishing to think that as many as three quarters (75%) of professionals aged 25-34 already feel worn out by the type of work and the environment in which they work in. And as many as 57% of all professionals feel that way. The threat of burnout is real and immediate. It is not reserved for middle age or later life. In fact, last year in the UK, younger workers took more days off work due to stress than older workers (roughly 65% of 16-24 young workers compared to only 24% of older workers). In April 2017, Talking Talent conducted the study ‘working on burnout’ which looks to challenge all types of professional organisations to prioritise the importance of the wellbeing issues experienced by their employees in the workplace and at home. The research highlights the very real impact on individual and organisational performance when the subjective wellbeing of an employee is poor, and the risk of burnout is high. 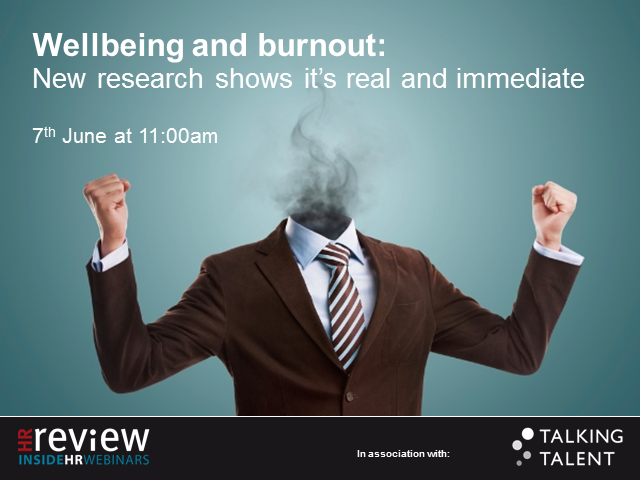 In this webinar we’ll be sharing the findings and insightful commentary on what triggers burnout with professionals in UK businesses, identifying trends across family set-ups, industries and seniority of position, as well as offering key insights for employers on preventative approaches to burnout. You’ll hear from Rob Bravo, Director of Wellbeing at Talking Talent and Sally Evans, Senior Manager - Talent, Inclusion & Wellbeing at PwC on successful strategies to support employee’s holistic wellbeing, as well as leading employer panellists and an industry expert sharing their experiences and perspectives. Title: Wellbeing and burnout: New research shows it’s real and immediate.